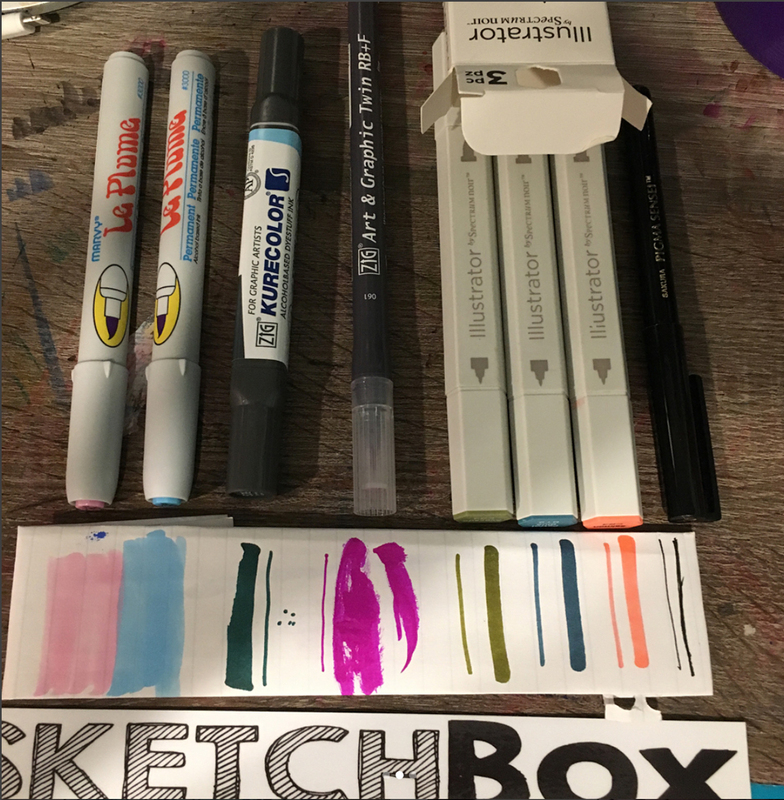 Our December 2017 boxes focused on illustration markers. We included three Spectrum Noir Illustrator markers. They have the ultimate nib configuration for artists and illustrators. You’ll get loads of versatility from the brush nib and then the ability to work in even more accurate detail using the new super-fine nib. They contain blendable alcohol ink. We also included a Kuretake Zig KureColor 3000. The KureColor Twin 3000 is a refillable professional twin-tip graphics marker. It has both a 6.5mm broad chisel tip plus a 1mm fine bullet nib. Like the Spectrum Illustrator marker it also contains alcohol based ink. Next up we included a Kuretake Zig Art & Graphic Twin Real Brush. Another addition to Kuretake’s Art & Graphic line, this marker features a real nylon brush nib instead of a rubber nib. It contains water-based ink that is blendable making it workable with watercolor. Next up we included a Sakura Pigam Sensei 04, These are essential pens to illustrate in Manga style. These pens offer versatile nibs to lay down rich, black Pigma Ink that is pigment-based, ultraviolet, chemically resistant, archival, waterproof and dries to a neutral pH level. Pigma ink won't bleed through most papers and will not smear or feather when dry. Finally we included two Le Plume Permanent markers. These are great for comic, Manga, cartooning, designing, and illustration. They have a soft brush nib and alcohol based ink. This picture was taken by our subscriber @jackiew3333 on instagram!